When I went back home to the Philippines last December, I asked my mom if she knew someone selling Avon products. I love Avon. They sell affordable makeup and beauty products that are fair to good quality. Not to mention budget-friendly too. When I saw the Color Magic line I was like, "I'm getting this!" I want to see the color transformation before my eyes. I chose the Sweet Blueberry lipstick which transforms from blue to berry color during application. You might want to check out my previous post: Avon Ultra Glimmerstick Lip Liner in Peach Bouquet. Have your own shade of lipstick. This lipstick reacts with your personal skin chemistry to give your own special shade. 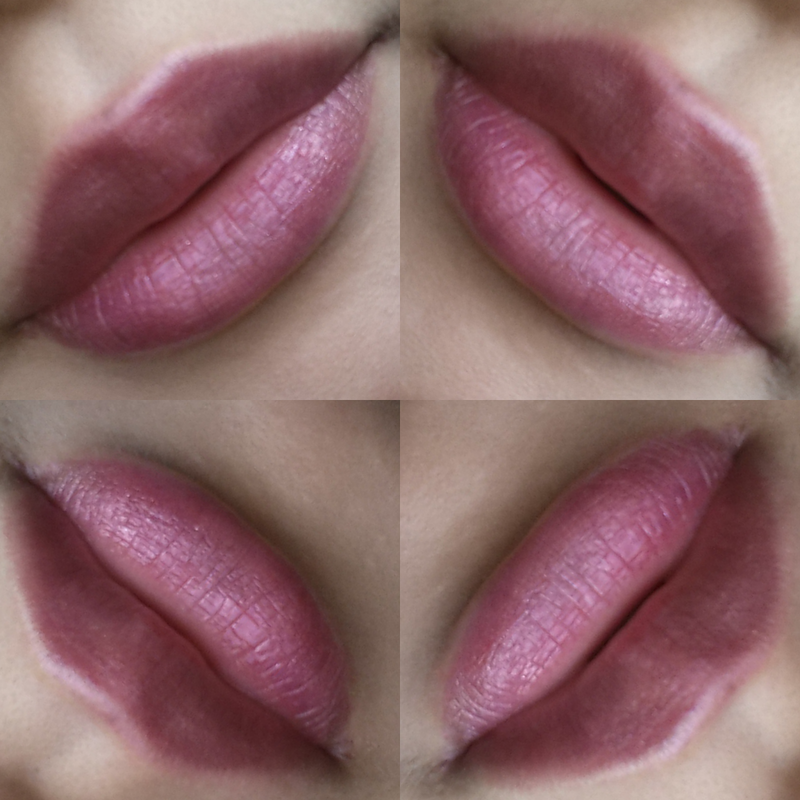 Glide on lips and notice how the color changes. This lipstick has a semi-matte or satin finish with some tiny sparkly dust. 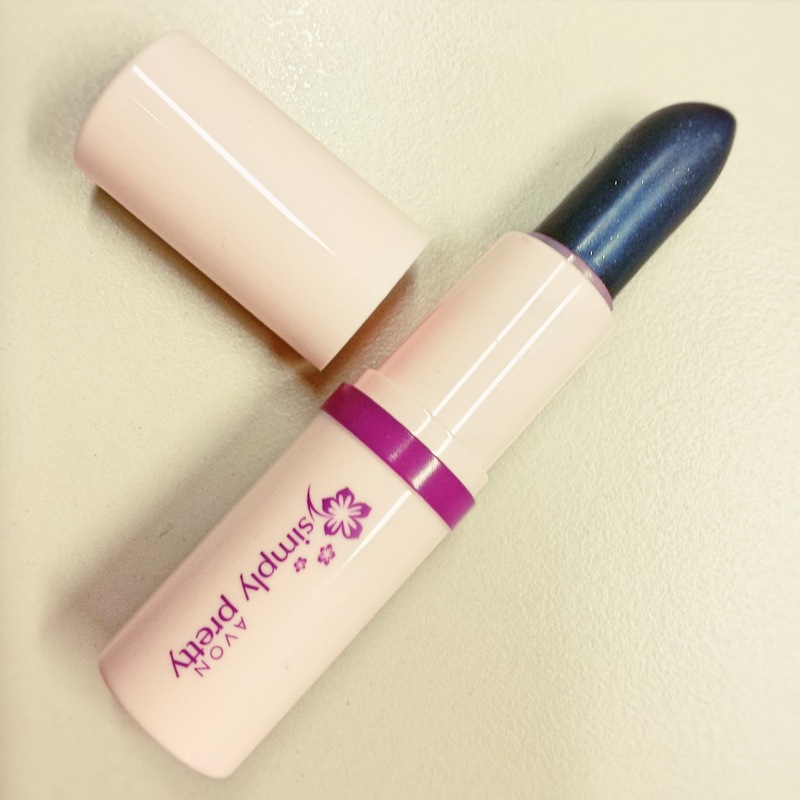 It glides smoothly on my lips and has a very light sheen finish after application. The product eventually dries down to a matte finish which is why it lasts longer. Cheap. Bought it for PHP 99. Smells like candy. Love it! It only takes one glide before the color appears. It's like magic! From blue, it changes to berry color. I'm fascinated by how the color changes. I mean wow! Just wow! It does change according to your skin chemistry because when I applied it on the back of my hand the color didn't change to berry at all however when I applied it to my forearms it changed to berry color. 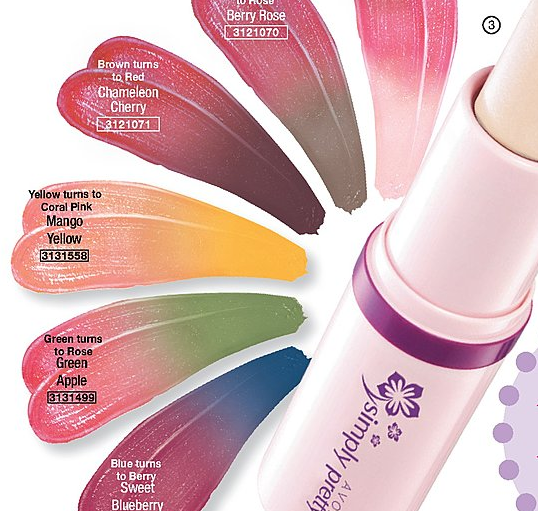 Note: The more you glide the product to your lips the more pigmented it becomes. It lasts for hours and hours. It doesn't melt inside my bag. With Singapore's hot and humid weather, melted lipstick is a big no, no. It dries out my lips. Packaging. Given it only costs PHP 99 you wouldn't expect much from its packaging. The product reacts to the color of your skin because of that you'll notice an uneven application. You might want to check out my review of Avon Ultra Color Lipstick too.